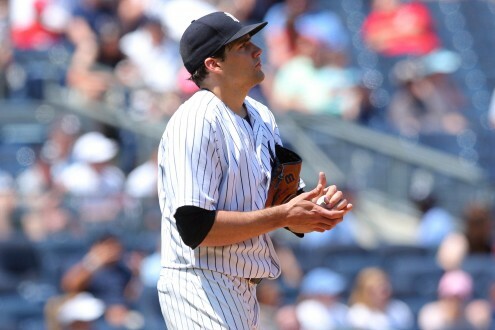 Assessing Nathan Eovaldi has the look of a borderline impossible task as there is simply too much conflicting information in play. Eovaldi is 25-years-old and his fastball averages 95.9 mph so it’s hard to say he’s a guy who doesn’t have stuff or potential. He’s also consistently under-performed his peripherals with a career 4.20 ERA and 3.73 FIP so it’s reasonable to expect that bad luck has been a factor and he’s better than he’s seemed at times. However, he’s also already pitching for his third team which has to be considered a bit of a red flag at this point and he’s never shown particularly good secondary stuff. 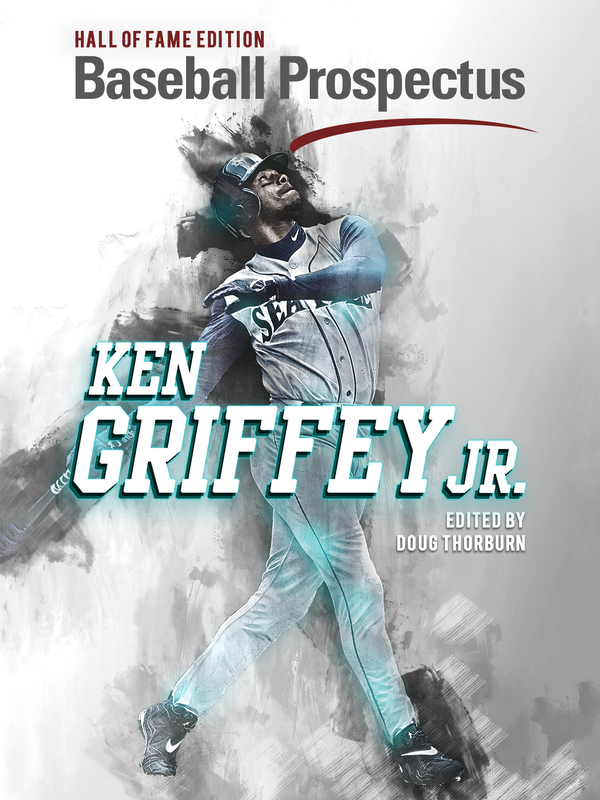 As a result, despite his elite velocity his strikeout numbers have always been unimpressive. A young fireballer like Eovaldi posting a career K/9 of 6.29 is pretty unexpected, especially considering the era he’s pitching in. He has yet to post a league-average number in the category since debuting in 2011. Stylistically speaking, he looks a lot like Joe Kelly in that he throws hard but the results tend to underwhelm. When we see pitchers in this mold it’s easy to see them as only a single adjustment away from stardom. It’s easy to envision them discovering a new pitch or a new release point or something that will unlock their tantalizing potential. There’s already been some optimism on this front in 2015 with Eovaldi as he has been featuring a really interesting splitter with a very low spin rate. Unfortunately for the right-hander, interesting isn’t the same as career-changing. The splitter has been fine, but it hasn’t helped him neutralize left-handed bats or get more strikeouts. No matter what adjustments he’s made on his pitches over the years the amount of whiffs he gets on them never seem to change. 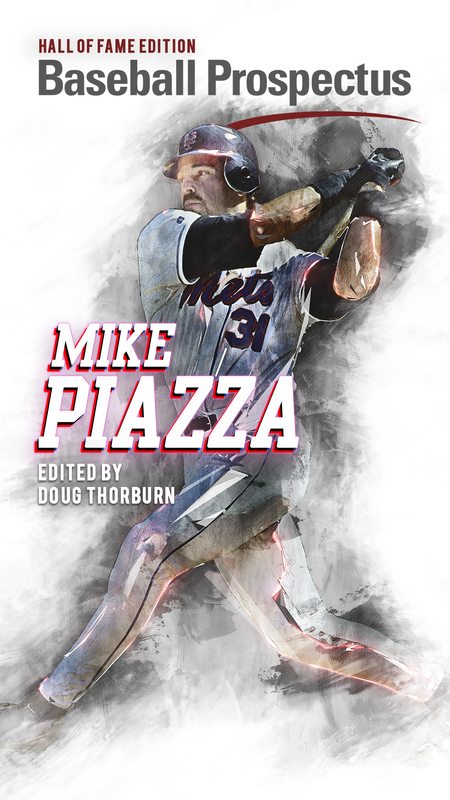 The only thing that pops out here is the fact he’s jumped to 100% whiffs on his changeups this season. 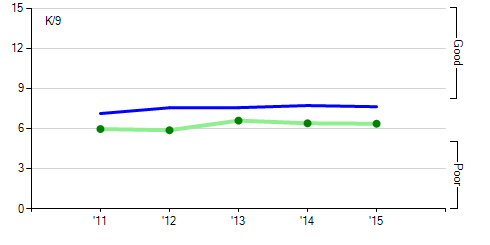 It’s probably worth noting that he’s thrown all of two changeups in 2015 though. Other than that, the consistency here would be remarkable if demonstrated by a veteran pitcher but seems like stagnation when looking at a guy’s age-21 to age-25 seasons. It’s far too early to “give up” on a guy like Eovaldi, but we’re closing in on the time to call a spade a spade. And despite the the earlier comparison to Kelly in this case a spade means Ricky Nolasco. The two pitchers have very different arsenals, but when it comes to results the similarities abound. 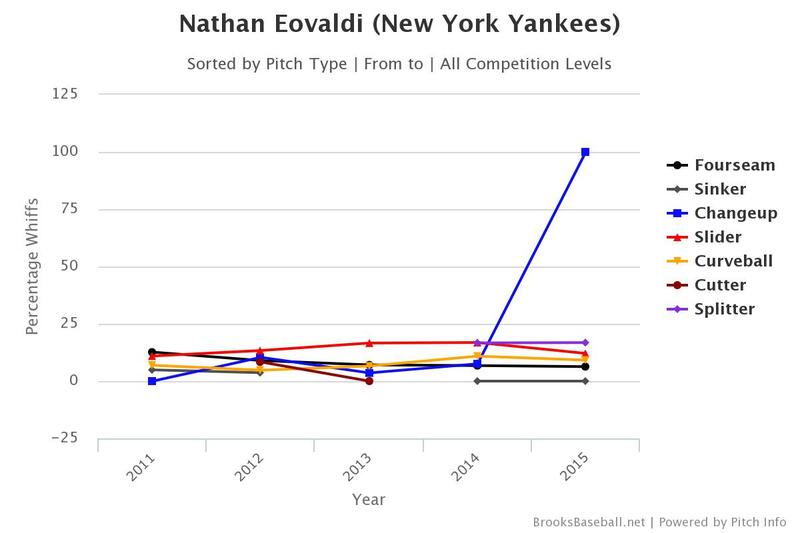 The chart below compares the two since 2011 when Eovaldi first came up with the Dodgers. It’s not like there are no differences here, but if you squint really hard you see basically the same guy. Interestingly, these similar results are accomplished in two ways that are diametrically opposed to each other. Eovaldi has the big fastball and nothing else whereas Nolasco’s fastball has always been mercilessly punished by big-league hitters despite his relatively solid off-speed offerings. Either way, both have led the league in hits allowed with Eovaldi managing it last season and Nolasco earning the dubious honor in 2011. Nolasco and Eovaldi have found different ways to be more hittable than the average bear in a way that points out some of the cracks in DIPS theory. Managing contact is a very difficult skill to quantify, but without a doubt it exists to some degree. Newer tools, like the measurement of exit velocity, will give us more to go on when examining it in the future even though there isn’t much data to work with yet. Even if Eovaldi is doomed to Nolasco’s fate of never living up to his peripherals or his potential, there are worse careers to have. The Twins right-handers has already banked over $57 million in career earnings and is only a year and a half into a four-year $49 million deal. He’s doing all right. When Nathan Eovaldi was selected in the 11th round by the Los Angeles Dodgers way back in 2008 he probably would have been happy signing a deal with the devil to become Bizarro Ricky Nolasco. He would have been foolish not to.